Many immunotherapy-based combinations are being studied in NSCLC, with TMB emerging as a potential predictive biomarker. The combination approach was adopted in an effort to improve response rates, thereby broadening the number of patients who may benefit from these agents. 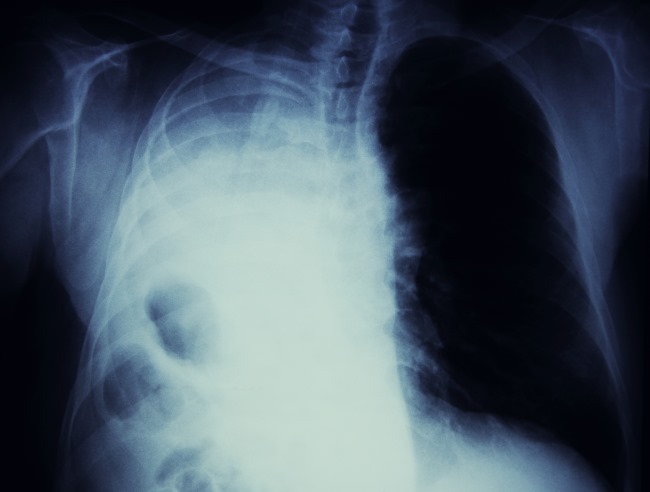 The combination of pembrolizumab plus chemotherapy is already approved for the first-line treatment of advanced NSCLC. Other immune checkpoint inhibitor–based combination therapies are under investigation for NSCLC, with some having already demonstrated prolonged progression-free survival in the first-line setting. An example is the randomized, phase 3 CheckMate 227 trial, which recently demonstrated that the combination of 2 immune checkpoint inhibitors — nivolumab plus ipilimumab — is also effective in the first-line treatment of NSCLC. In this trial, patients with high tumor mutational burden (TMB), defined as at least 10 mutations per megabase according to the FoundationOne CDx assay, demonstrated a median PFS of 7.2 months (95% CI, 5.5-13.2) compared with 5.5 months (95% CI, 4.4-5.8) with standard chemotherapy (hazard ratio [HR], 0.58; 97.5% CI, 0.41-0.81; P< .001).2 Overall survival data have not yet been reported. An updated analysis of CheckMate 227 demonstrated that the PFS benefit with the immunotherapy combination remained for patients with low PD-L1 tumor expression, but only for patients who also had a high TMB. This suggests that “TMB can be considered [a] predictive biomarker for [the] combination of nivolumab plus ipilimumab,” wrote Myung Ju Ahn, MD, of the Samsgun Medical Center, Sungkyunkwan University School of Medicine, Seoul, South Korea. Dr Ahn noted, however, that limitations for the use of TMB as a biomarker in clinical practice still exist, including nonstandardized platforms for sample type and analysis, and differences in the cut-off values that designate a tumor as having a high versus low TMB. Alternative combination approaches are being studied, including the grouping of anti–PD-1/PD-L1 antibodies with other co-inhibitory molecules of T-cell activation. Many of these combinations have shown synergistic activity in animal models and are currently in early stages of development. Ahn M. Combination IO+IO. Presented at: International Association for the Study of Lung Cancer 19th World Conference on Lung Cancer; Toronto, Canada; September 23-26, 2018. Abstract MS28.02.